Website Design 100% Satisfaction Guaranteed! We provide affordable turn-key web design and web marketing services for clients in every industry, nationwide. All of our design work is 100% satisfaction guaranteed! 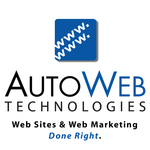 Wordpress, Magento E-Commerce, and a full suite of Search Engine Optimization services including Google Adwords.